Proudly introduce a fully remodeled home! Everything in this home is either newly replaced or remade to be ready for any hard-to-please individuals, including all the below: - Roof: approximately 5 years old, professionally repaired and replaced. 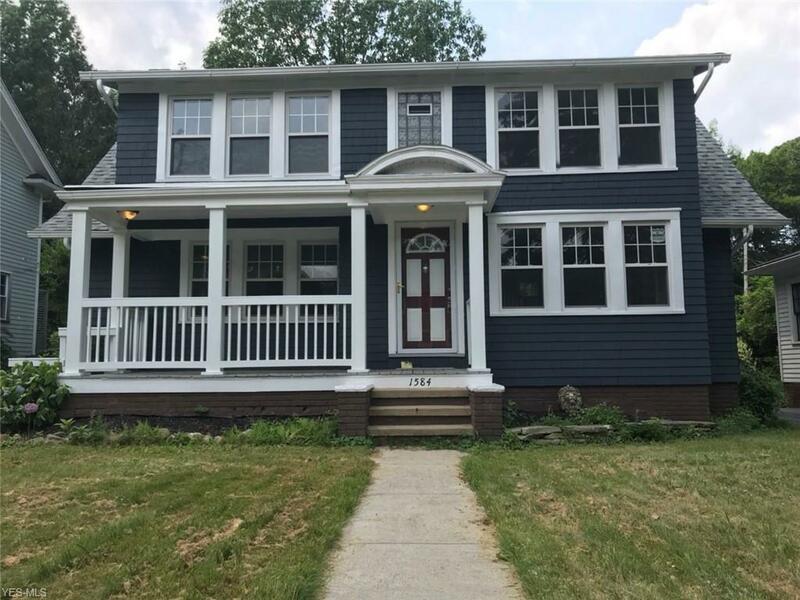 - Exterior: freshly painted by professional painters - Newer and high quality windows (approximately 5 years old) - Asphalt driveway freshly sealed - New front porch, railings. - New wood fence! - New kitchen cabinets, new tiled floor, - New range hood vented outside - New 36" farmhouse sink (custom made) with new granite countertops - New chandeliers, door knobs, light fixtures all around the house. - Hardwood floor in living room is refinished with newly tiled fireplace. - New carpet for 4 bedrooms/closets/hallway upstairs. - 1 and 1/2 bath with new and high-end vanity cabinets, new faucets and all hardwares. - Double car garage with new opener. - Boiler is approximately 5 years old and has just been re-serviced with radiators painted with high heat paint adding a highly relaxing and old-school feeling to your home. - Updated electrical box and wirings. - Home is freshly and professionally painted, inside out including all doors and everything can be painted. Passed all Point Of Sales inspection from the city, ready for the new family! This home will last a long time before needing any repairs!